Aughenbaugh Chiropractic, located in Warrenville and Earlville, IL, is dedicated to the health and well-being of their patients. Our chiropractic expertise and devotion to the patient’s needs and long term health goals have produced several chiropractic success stories. 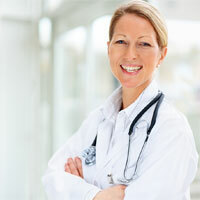 All of our services are tailored to fit each patient’s unique health problems. Gaining an understanding of the patient’s total health profile, which includes family health history, dietary habits, previous medical care and their current career and extracurricular schedule to determine the source of pain. We offer a highly-effective alternative to traditional medicine’s invasive methods. Our case by case treatment and personalized wellness programs allows us to thoroughly and effectively identify and alleviate general aches and other ailments including, and not limited to, allergies, asthma, neck pain, upper and lower back pain, fibromyalgia and stress. Get on your way to total body wellness, contact us to schedule a consultation or an appointment.